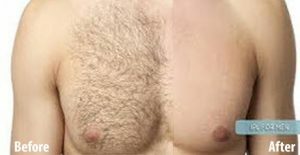 Laser Hair Removal Miami FL Patients See Results With! Cosmetic Laser Professional offers the best in Laser Hair Removal Miami FL residents love. For our clients that are sensitive to lasers, and feel the pain is too much to handle. We have the latest in “PAIN FREE” laser hair removal treatment! The Easylase 808 is a diode laser system that eliminates and destroys the hair follicle. Fast, swift and pain free by the use of a conduction gel and the use of the super cold sapphire tip. This treatment is effective, fast and pain free. Good for all six skin types. *Cancellation Policy-All appointments must be cancelled within 24 hours, if not a $25 fee will be applied. Please click on the button below to learn more about our Laser Hair Removal Miami FL services and how we can help you get rid of unsightly hair.